The thing to realize is that Canada does in fact have a housing bubble. 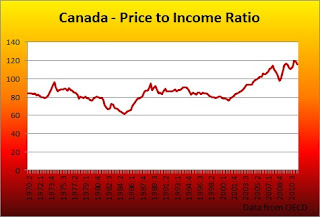 Sometime ago I compared what the absence of a housing bubble looks like to the Canadian housing market and the verdict was clear. It's a bubble! It is worth noting that not all parts of the country have overvalued real estate. 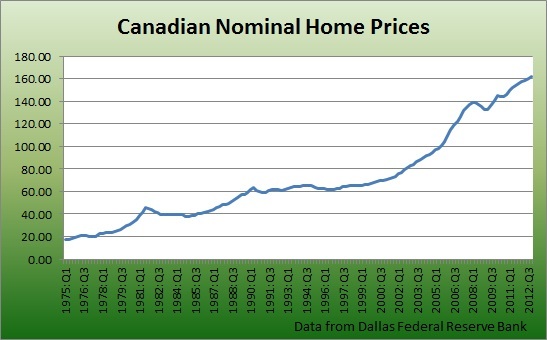 However, many major Canadian cities, such as Toronto and Vancouver, possess large bubbles. 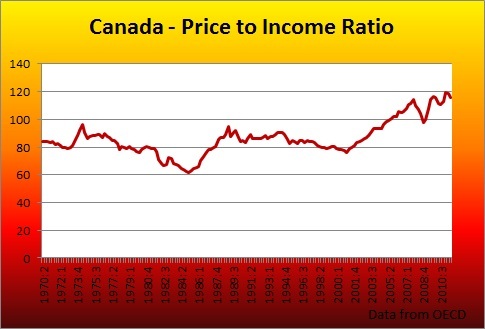 In today's post I will provide a brief summary of key charts, facts and opinions. 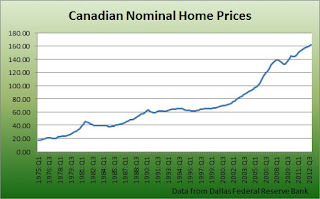 Garth Turner: public figure "...It’s why I’ve told people for the past few years to ready for a price decline of 15% nationally (more in the frothy areas, less in demand pockets), then years of flatlining or decline as our demographics go negative." 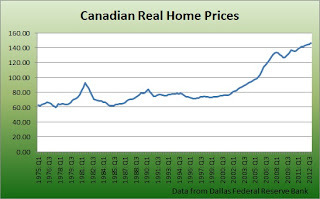 David Madani from Capital Economics: "We still believe that house prices will eventually drop by as much as 25%." First Foundation, Mortgage Brokerage Firm: thinks David Madani is wrong! 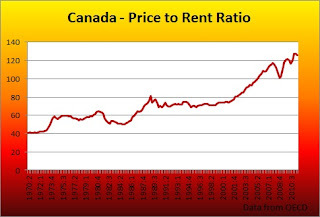 Specifically they believe that: "...that people are not over-leveraged, that our incomes are sufficient to pay out obligations, and that the fundamentals are solid for a good, old fashioned, boring real estate market where reality overcomes emotions and conjecture ". Charles Hanes, real estate agent: "I can tell you that these historically high price that we have seen over the past few years and the surprising vacancy rates we're seeing in condo buildings (a recent study showed that over 25% of high end condo units in the top echelon of the market are vacant) coupled with the excessive fixation on selling condo units to speculators (end-user buyers get last shot at buying a condo in this city), suggest to me that supply is outstripping legitimate demand." 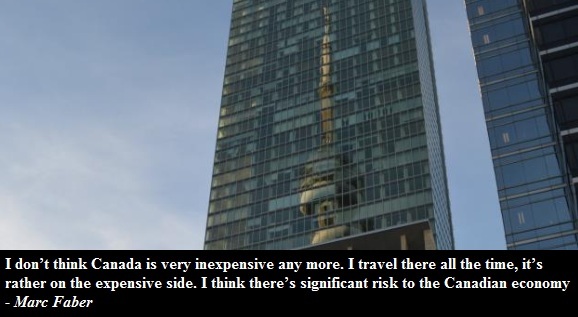 David Rosenberg, Economist at Gluskin Sheff: "The correction in the domestic residential real estate market is completely overhyped outside of the imploding Vancouver and Toronto condo markets,"